Please keep in mind that this website only shows a small fraction of what we have in stock. So please contact us if you don’t see what you’re looking for. 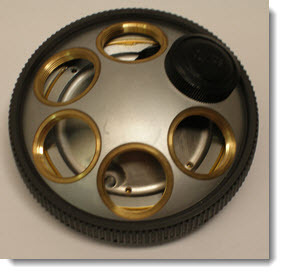 This drawing tube / camera lucida is suitable for Wild M5 stereo microscopes. This sextuple revolving objective is in excellent condition. 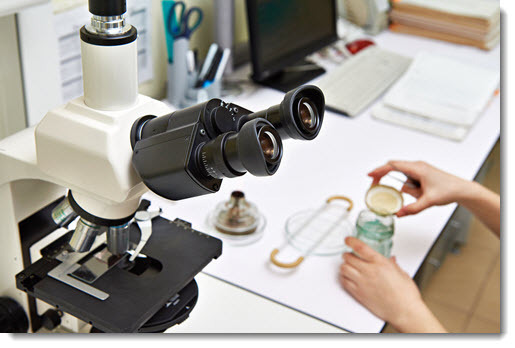 It is suitable for Olympus BH2 and BHS model microscopes. 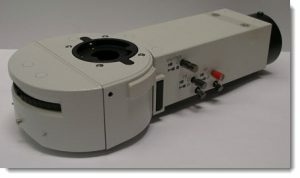 This intermediate analyser unit comes with a compensator slider. 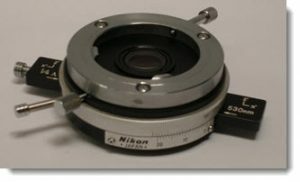 It is suitable for Nikon Alphaphot and Alphaphot-Pol microscopes. 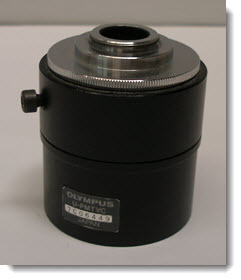 Incident illuminator for Olympus BX microscopes. Has filter turret, but no filters. (Some filters are available separately—please contact us for more details). 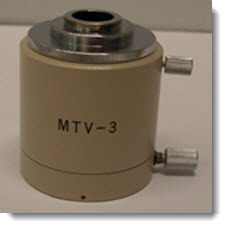 This 2-way teaching attachment is suitable for Olympus BH2 and CH2 microscopes. 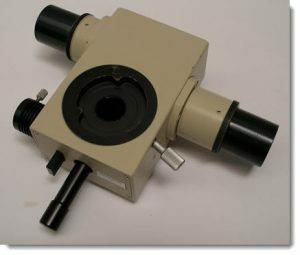 Multi-viewing body for up to five observers. (Side Note: We also have side arms and support stands available at extra cost. Please contact us for a detailed quote).